Located in the heart of the Cohutta Wilderness, Jacks River Falls is a lovely area for both day hiking and camping. With a couple different trail options, the hike down to the Falls itself is 9-miles over multiple creek crossings. The Chattooga River Trail offers spectacular river opportunities for Atlantans who want a short 2 hour drive to a secluded untamed destination for adventure. 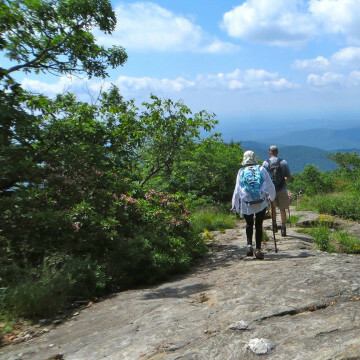 From the iconic climb up Blood Mountain to the the steep switchbacks of Tray Mountain, here are some of the hardest hikes in Georgia.